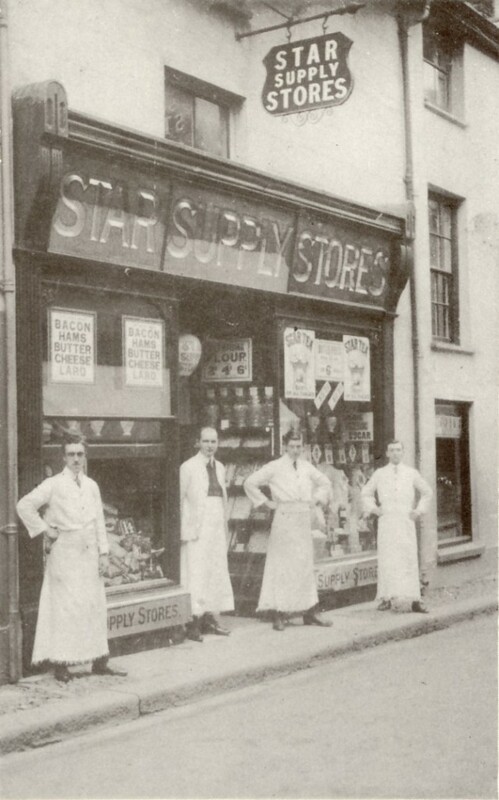 The former STAR SUPPLY STORES in Coinagehall Street, Helston before 1914. Notice the smart turnout of each assistant. White jackets and aprons, starched collars and neat neckties!